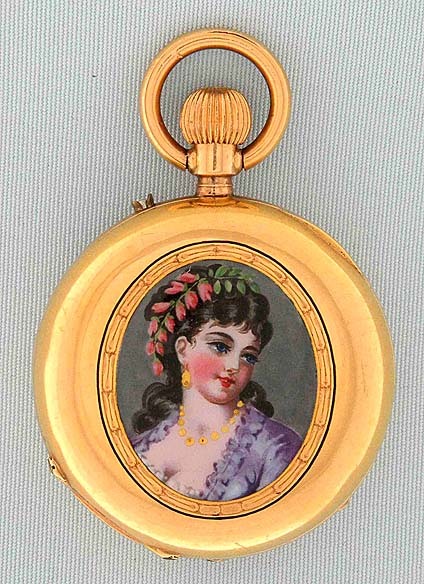 Lovely Swiss 18K gold and painted enamel ladies antique pendant watch circa 1890. The back painted with a lovely young woman with flowers in her hair. 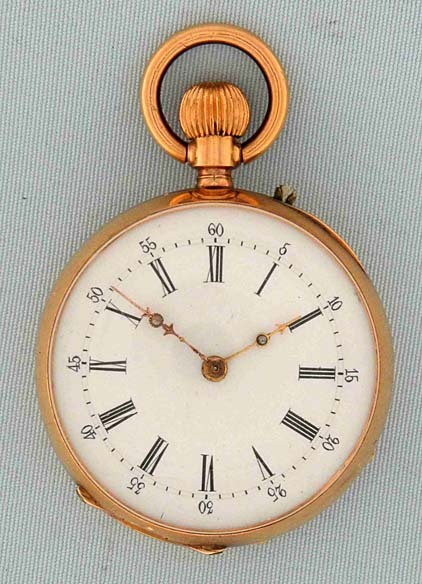 White enamel dial with black markings and gold stone-set hands. 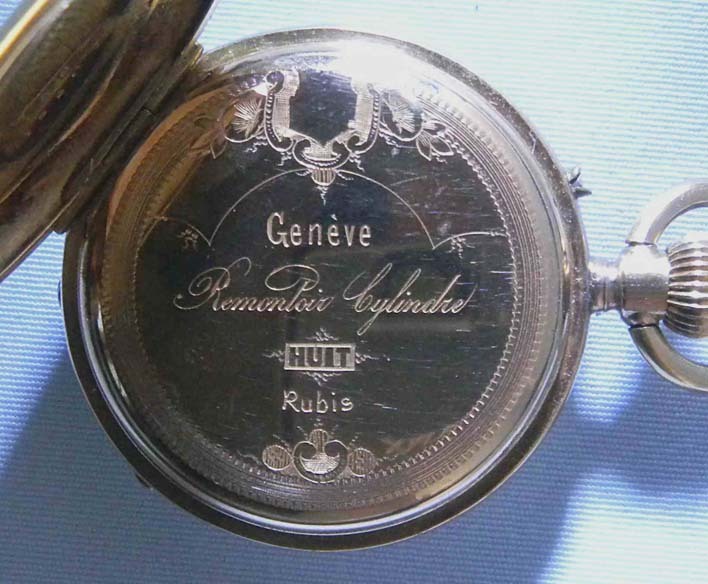 Nickel 8 jewel cylinder movement. Particularly fine condition throughout.